Frequent fill-ups are the norm for any truck driver. But did you know there’s more to the cost of fuel than the price at the pump? That’s because the diesel you buy today will impact the operation of your Mack fuel injection system tomorrow. And if the fuel is dirty, you could be facing significant downtime and expensive repairs. Test diesel at the refinery, and you’ll find it’s pretty clean. But as it travels across the country, that fuel picks up dirt, water and bacteria from the pipelines, terminals and storage tanks it flows through. When these contaminants enter a truck’s fuel system, they can cause wear and damage to the fuel injectors. And that can lead to poor combustion, low fuel economy and further damage of critical engine components. Let Mack® fuel filters be your first line of defense against damaging fuel injection issues. Mack fuel filters are designed to trap harmful dirt and contaminants, removing them from your fuel stream before they affect your pump and injectors. In fact, our advanced media captures particles 20 times smaller than a grain of table salt. Mack fuel filters also safeguard against moisture, the most common and dangerous contaminant found in fuel. Not only can water reduce the lubricating properties of fuel – which, in turn, can cause injectors to seize – but it also encourages the formation of rust and corrosion. And because water boils at a lower temperature than fuel, just a few drops lodged in the tip of an injector can expand during combustion, breaking these sensitive components and causing significant damage to the rest of the engine. But the advanced water separator technology in Mack fuel filters removes moisture from the fuel before costly engine problems develop. 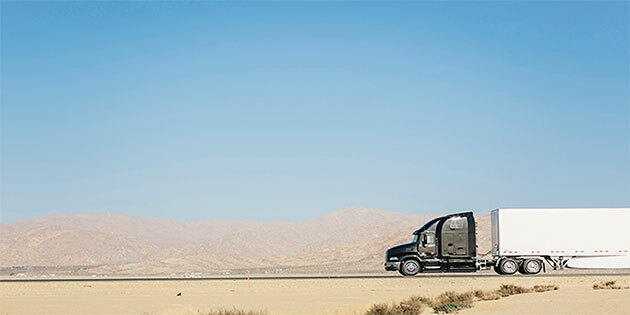 Mack fuel filters also feature a strong 22-guage steel shell, which can withstand pressure fluctuations up to 145 psi, and high-quality rubber seals that guard against leaks, even under varying temperatures. Trust the experts at your local Mack Trucks dealership to help you monitor your fuel system performance. We’ll inspect your fuel filter at every oil change and let you know when it’s time for a replacement. You can also order online from the SELECT Part Store™. Enroll today for real-time stock status and pricing information from your local dealer, 24/7 online ordering, fast delivery and exclusive discounts.